Working together, anything is possible, including addressing one of the great challenges of our time: climate change. The Green Investment Fund is the latest example of partnership between Ontario Natural Gas Alliance members and the Ontario government. 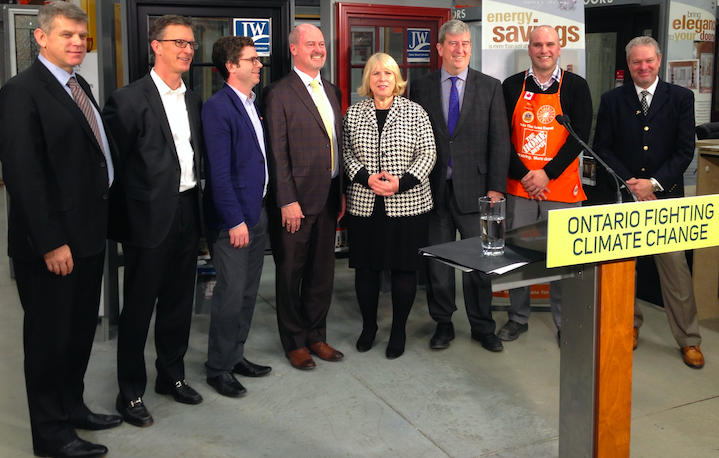 This recently announced fund is part of the Ontario government’s Climate Change Strategy and will see $100 million invested to create jobs and help homeowners save energy, reducing monthly energy bills. The government estimates the fund will help about 37,000 homeowners conduct energy efficiency audits and then complete retrofits, such as replacing old furnaces and water heaters or upgrading windows and insulation. Homeowners know that making these changes can have a real positive impact on their bottom lines, and it’s a great investment that can pay dividends down the road. In the past, for every dollar invested in natural gas efficiency, savings of $1.50 to $4.00 have been realized for natural gas consumers. In many ways, the launch of the Green Investment Fund represents a vote of confidence from the government of Ontario for something that companies such as Enbridge Gas Distribution and Union Gas have been doing for decades: working with customers of all scopes and sizes to reduce monthly bills and lower greenhouse gas emissions. Between 2005 and 2013, natural gas conservation programs resulted in 47 million tonnes of lifetime greenhouse gas reductions, while the price of natural gas remained competitive.